Kronecker is a synthesizer with a mechanism to make sounds many times like a rhythm machine each time you press a keyboard. In addition to synchronizing the trigger speed to the tempo, you can gradually increase the speed or slow it down after pressing the key. This makes it possible to produce synthesizer sounds like bouncing balls and clockwork toys. Kronecker has four emitters that emit sound particles made from FM tones and noise. At the emitter you can specify at what timing the sound particles will be triggered. You can also add effects such as the pitch and tone of particles gradually changing. Particles emitted by the emitter can be processed with two resonators, and you can reproduce sounds like particles jumping on strings and pipes. 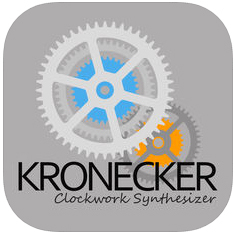 Kronecker works not only on the iPad but also on the iPhone. It also supports Audio Unit Extensions (AUv3), so you can plug in to AUv3 compatible host. For each screen size, different layouts are designed to be easy to use and intuitive. The microtuning in settings screen lets you create micro-tonal scales that repeats every octave by setting detuning based on the equal temperament. – Minor improvements and fixes. 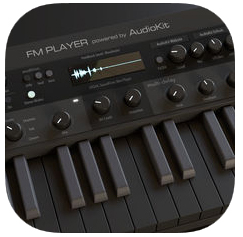 Beautiful Free iPad instrument featuring the classic sounds of famous 80s FM Synthesizers. • Over 65+ presets included, completely free! 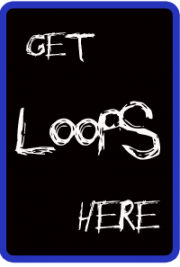 • Beautiful Reverb, Auto Pan, Bit Crush, Stereo Fatten, and more! • Audiobus 3 support. 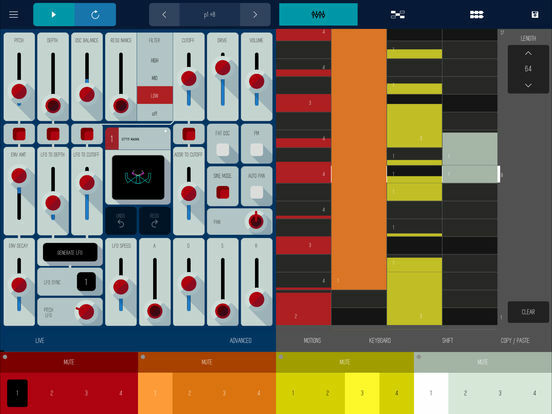 Use these amazing sounds w/ other apps that support AB3 audio & midi. 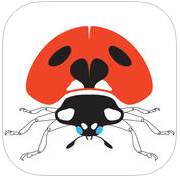 We love Audiobus! 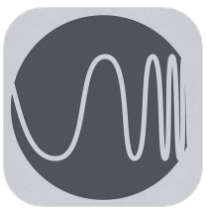 • Basic Inter-App Audio (IAA) integration to work with GarageBand. • All Knobs have MIDI Learn! 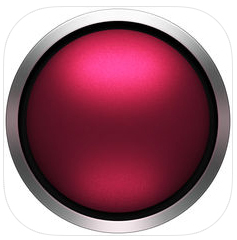 NOTE: This app is intended to be a live instrument controlled with a MIDI Keyboard. The IAA integration is very basic. Thank you. The app does NOT work well with iOS DAWs like Cubasis. We are working on future apps that will work better in DAWs using AUv3. • We spent weeks coming up with beautiful velocity curves individually tailored to each sound. This was done with code. Meaning, we did not increase the storage space! • Better MIDI keyboard velocity. Each preset has a unique velocity response, inspired by the original hardware. • We found that Attack/Release controls are the most useful envelopes for a sample-based instrument like FM Player. Turn up the Release knob all the way for beautiful and floating sounds. • We are all volunteers, working hard for you. We do not get paid anything. And, we make FM Player free so musicians all over the world can enjoy it! Frum is a radically new FM Drum Synthesizer, incubated after many years of research and development into FM synthesis. You may imagine FM sounds to be clear and harmonic, but those are just the start of the possibilities FM has to offer. More potential is unleashed by harnessing the unlimited, free power of complex sound waves. Traditionally, FM synths are overwhelming, with too many parameters to control the sound texture. Frum bundles many of these parameters together in the BUG button, offering entirely new textures each time the button is pressed. It’s easy to find and tweak these sounds to make drums, other percussion, fat bass, organic noises such as insect songs, environmental sounds, human screams, as well as all sorts of intriguing melodies. • The sounds are at your fingertips. With Frum, we had to rethink the existing UI design for hardware and software synthesizers, bringing the power of FM to the iOS touch screen. The vertically scrolling sequencer allows you to enjoy single-handed, stress-free control of the UI. • Rearrange blocks to compose music. Entire songs can be composed by rearranging pattern blocks with your fingers. Complex arrangements and organisation is possible with the user having control over song name, pattern block colors, loop counts and durations. • Share your song on the timeline. From incorporates SNS technology, allowing you to listen to hot new tracks from around the world, as soon as somebody shares them. Let people know what you think, and get feedback on your own tracks, via the like button, and comments section.